Oracle and Microsoft, for the last decade, have bitterly vied to see which would be the dominant database on Windows: Oracle or SQL Server. The stakes grew higher as Windows Server became more strongly entrenched in the enterprise data center. At some point, both decided neither was ever going to own the market outright. At the same time, the rise of Amazon Web Services showed what had been brewing while they grappled with each other. If some database users were finding a home on AWS, they potentially weren’t using either Oracle or SQL Server. It might just be time for a strategic re-alignment. 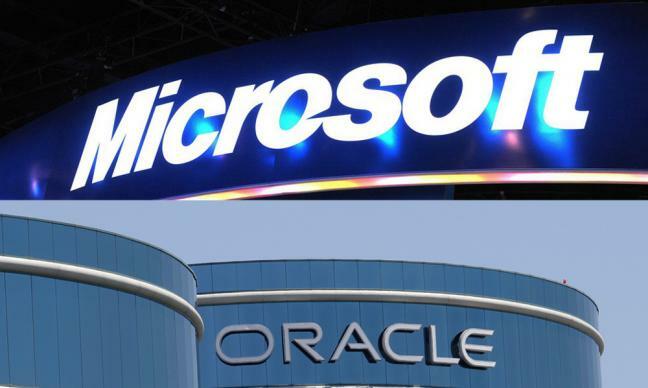 The two companies announced June 24 that Microsoft would make it simple to run the Oracle database system, Java, and WebLogic Server on its Azure cloud. If customers did so, they would still be entitled to receive support from Oracle under the new partnership agreement. Tuesday, Anderson took the stage at the Moscone Center in San Francisco to say the partnership was no longer just talk but operative. Microsoft made a website available where customers could download a preview version of the Oracle database, WebLogic application server and Java Development Kit in a Hyper-V virtual machine to be test-driven on Windows Server. By making the combination available as a set of Hyper-V files, it was in a package ready-made to receive the customer’s application, get test-driven under Windows on premises, then migrate back into Azure, Anderson said. The license for use on Azure was included in the package. As another sign of how much things have changed, the Oracle database was available with WebLogic Server in a second virtual package, this time running under Oracle Linux, Anderson said. It was geared to run on Azure, with the customer supplying an appropriate Oracle Linux licensing. Back when Microsoft was primarily an operating system company, distributing rival software under Linux was unthinkable. Now it might generate future customers for the Azure cloud, customers who wouldn’t end up inside the dominant cloud vendor, Amazon, and it was worth the risk. “Today is the first of many steps that will deliver on the promise of this partnership, and there is more work and more announcements to come,” Anderson wrote in his “In The Cloud” blog Tuesday, in advance of his appearance at OpenWorld. Oracle’s board chairman, the gentlemanly and diplomatic Jeff Henley, introduced Anderson, rather than another Oracle executive, such as CEO Larry Ellison, who has not only trashed cloud computing, but Microsoft as well. Anderson said the combination of Oracle software running under Windows Server “was one of the most common workloads” in enterprise environments today. Making such a combination a potential Azure workload amounted to a no-brainer at this point, he concluded. And Azure was a reliable place to run enterprise tasks, he assured his listeners. It is a battle-tested environment already running Office365 and Bing searches. Jeff Woolsey, program manager for Windows Server virtualization, added that developing with the software that Oracle and Microsoft were making available meant that enterprise users could develop their applications and then have a choice of running them on premises or in the cloud. “Treat Azure as an extension of your data center,” he urged. If enough customers do so, then Microsoft’s gamble on encouraging use of Oracle and Linux will have paid off.